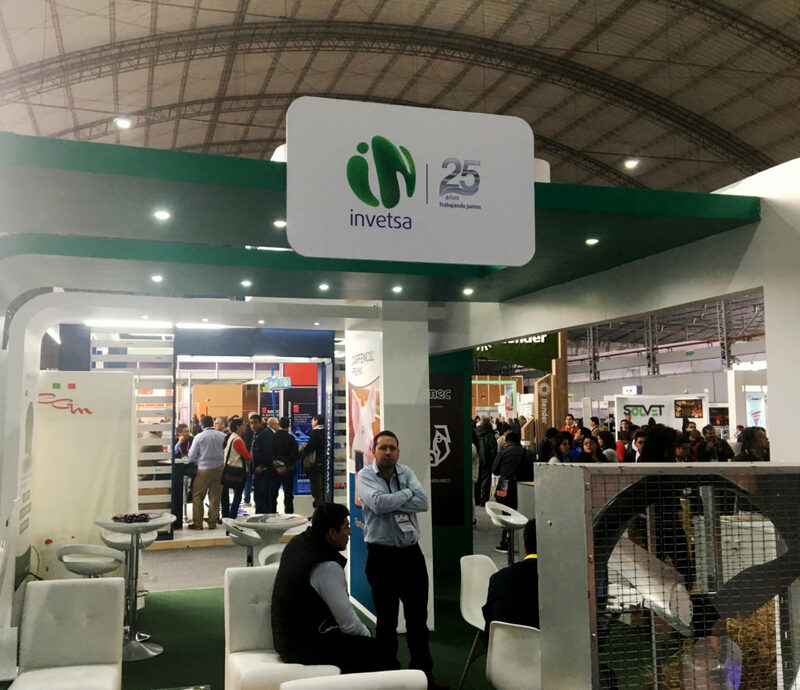 CARVAL and its distributor INVETSA PERU participated in the IV Iberian American Congress OIPORC and the VI international congress of Porciculture in the city of Lima on july 19,20 and 21 this year. 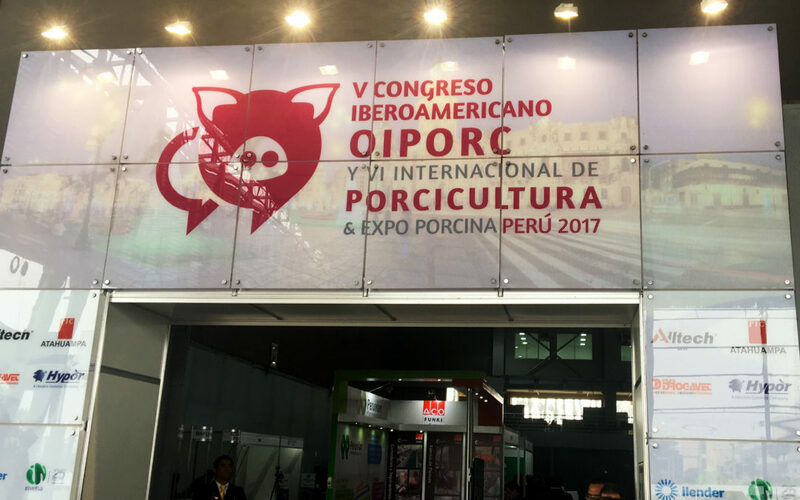 The main goal of this event is to consolidate itself in a discussion form which will analyze the main issues that influence the development of the pig industry of Ibero-América. 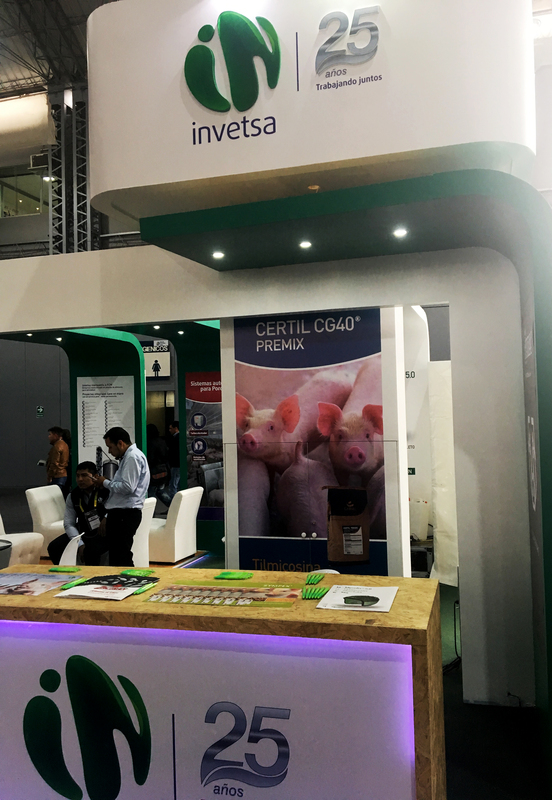 Carval aims to build a common horizon that allow us to achieve the continuous, solid and sustainable development of the porcine sector, through the participation of our product lines both Farma and Premix in this market. 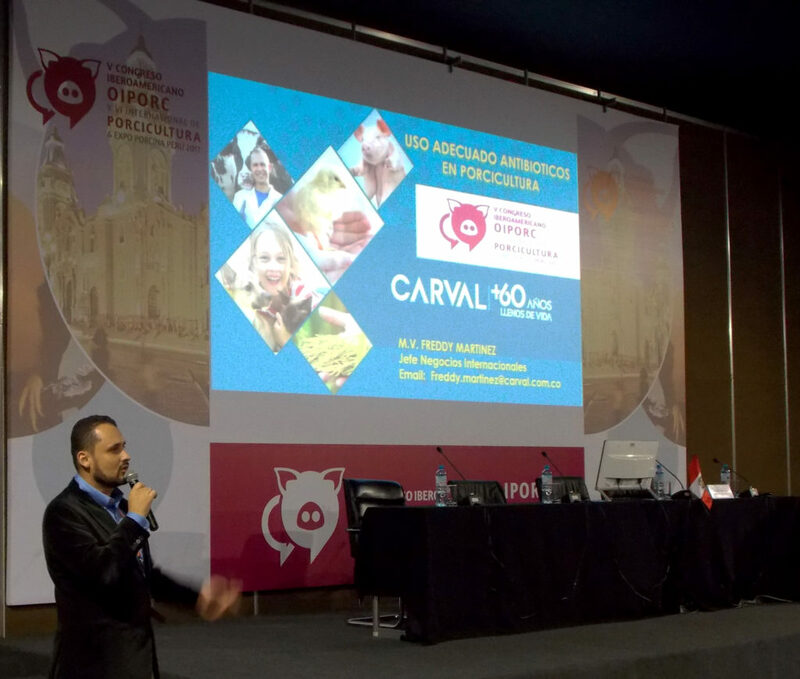 In the event the M.V, Freddy Martínez, head of International Business at Carval, participated as speaker in the talk “Management of antibiotics in porciculture.” In this talks information about the use of antibiotics in pigs was updated and the space was used to launch new Granular products: Tiamulin CG30, Certyl CG40 and Carfenicol CG20.